The data is used to provide you a good service , like booking a domestic flight and a good holiday. Your data may be requested and processed by the Kyrgyz Government in the context of border control, immigration, security, anti-terrorism and other purposes deemed appropriate. In case of a medical emergency, we will pass on your medical information to the treated doctor so that he or she can treat you as well as possible. "Andre was both knowledgeable guide and gracious host as I toured the region of Lake Issykul with for several days." 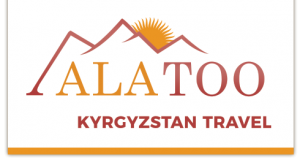 Ala Too Travel will take you through the unique nature and rich culture of Kyrgyzstan. Our experienced local guides will take you along the mountain landscapes and nomad villages, colourful valleys and Central Asian architecture. Ala Too also manages the Riverside guesthouse in Karakol, where we receive manu people from all over the world. This gives us extra experience about wishes of travellers. Feel free to contact us if you have any questions about our tours or our service.